In many ways, it has been easier to obtain old documents from Germany thatn it has from New Jersey or New York. The existence of organized church books that had a quasi-public function has been a treasure trove. On the other hand, not only did I start without knowing how to speak German, but the old writing seemed to make these records almost impenitrable. If I could see how the words are spelled, at leastr I could look them up in the dictionery! Even most modern Germans have trouble with the old script. However, with practice, I have gotten better. At least I can now recognize names and dates. It helps that the books are fairly structured so you know where to look for what. I do fairly well with names as I know what I am looking for, and usually the names are written more carefully (or even in Latin script) by the scribes. 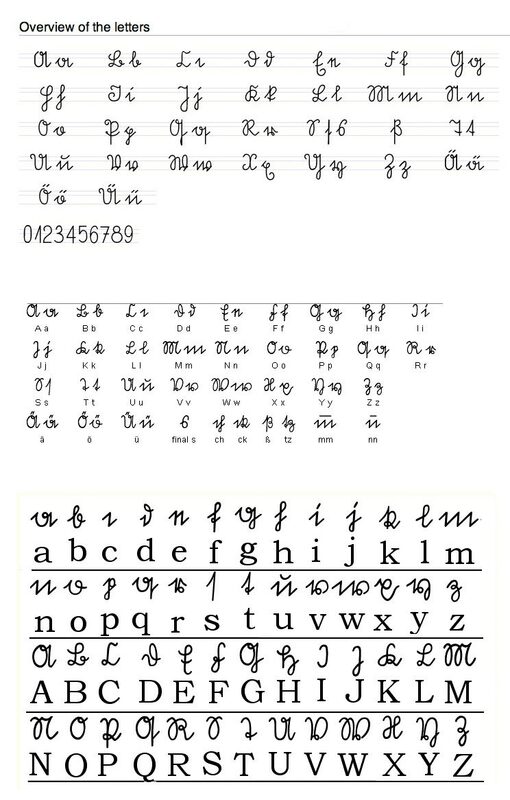 Here are some sample alphabets that have been helpful to me. I confess that I stole them from the web and can no longer give attribution. I also give some of the on-line translation sites and dictionary that have been helpful to me. If you have better resources, please let me know. I use these two. They have given me and my correspondents a few laughs, but they sort of give the idea of what you want to say. It pays to use several. No one of them has every word, especially the older words. I keep several tabs open in my browser so I can easily access them all.